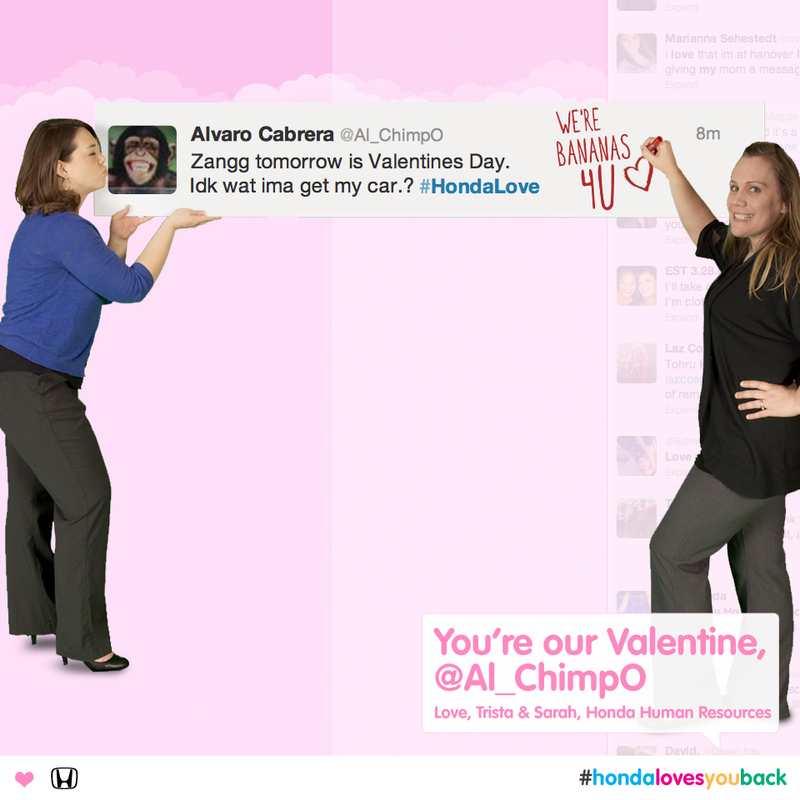 Honda USA is reaching out to customers with “You Are Our Valentine”, a social media campaign involving Honda associates from Honda headquarters in Torrance, California, and at manufacturing facilities across the country. 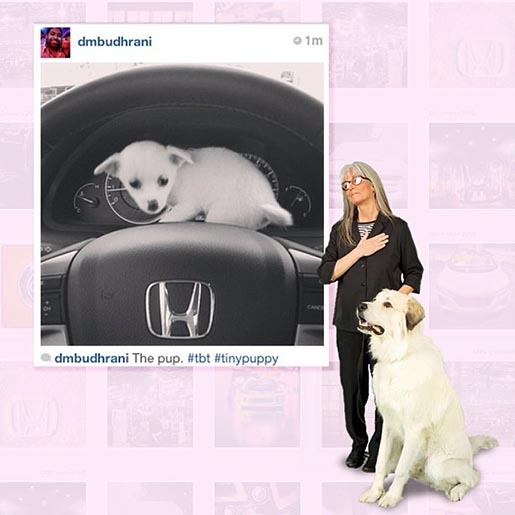 Staff are responding spontaneously in real time to fans who post on Honda’s Facebook page, tweet to @Honda or upload an Instagram tagged #Honda with a personalized, virtual Valentine. 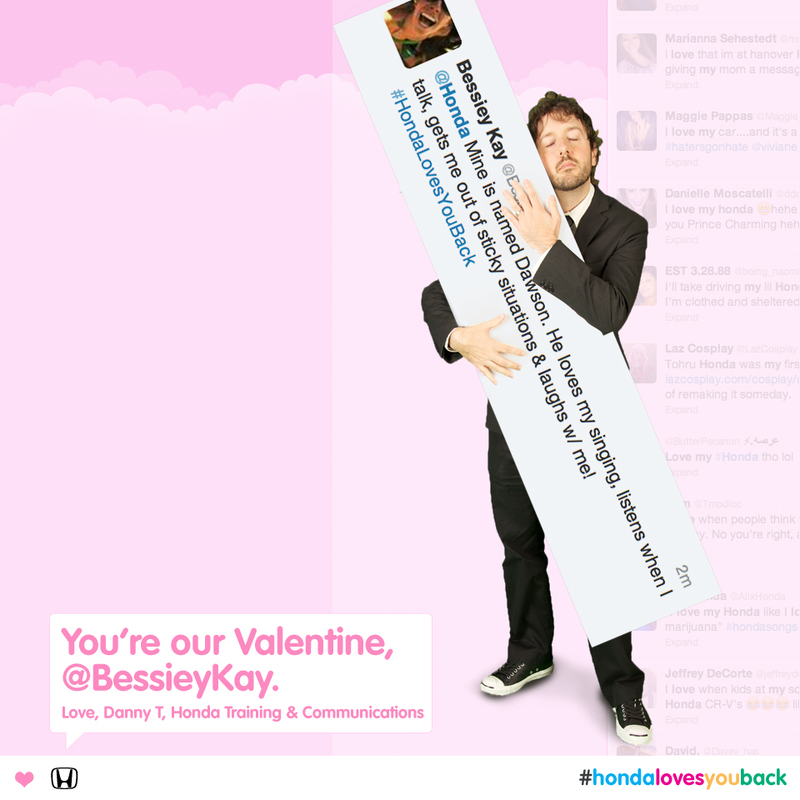 Honda’s “You are our Valentine” celebrates those who take the time to communicate with Honda by delivering an extra-special dose of love, featuring a photo and title of the responding Honda associate with a version of the original message to Honda. 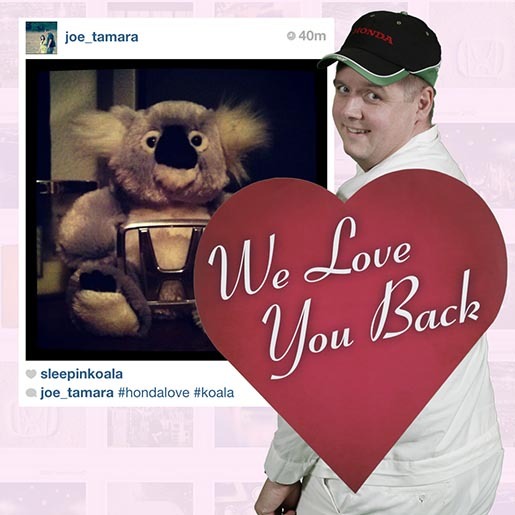 This effort extends a series of feel-good surprises, known as “Honda Loves You Back,” most recently for Monsters Calling Home, and with the Halloween campaign of 2011. 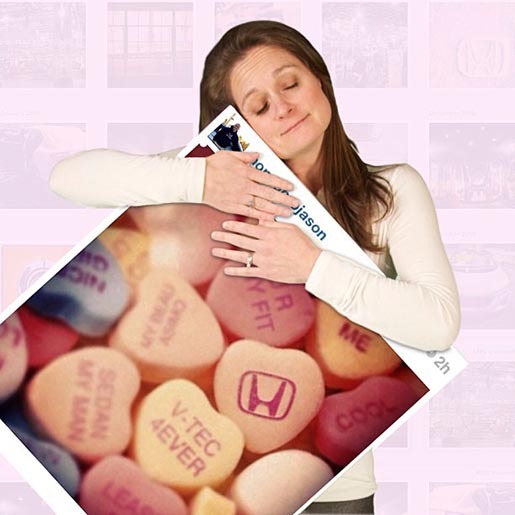 This continued effort finds ways to connect with fans and show appreciation to current Honda owners. The Honda Valentine campaign was developed at RPA by chief creative officer Joe Baratelli, group creative director Jason Sperling, creative social media director J Barbush, art director Brian Farkas, copywriter Tylynne McCauley, social media writers Brynn Cahalan, Jenaca Holmes, junior art director Spencer Larson, agency producer Mark Tripp, film director Steve Carmona, and social media team San Tong and Melly Ramirez.